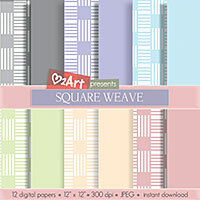 for cardmaking supplies, handmade cards, and digital card kits. Welcome to my card making shop! I have been asked so many times about my handmade greeting cards and also about where I got my supplies that I decided to set up this online cardmaking store to sell some of my creations and stuffs. Shop is closed. Not able to catch up. Sorry. Will inform when ready to start selling again. At present, there might not be much items here but I'll be adding more items here in the coming days and weeks. So do check back often as most of my handmade items will be limited items and once sold might not be reproduced. Most of what I'm selling are handmade cards, tags, postcards and other paper items personally handmade by me in a smoke and pet free environment. You will also be able to find digital card kits here which will be emailed to you. Note that anything that's handmade is usually one-of-a-kind so there might be a slight different from the image posted here. Click on any image below to view a gallery of larger images. 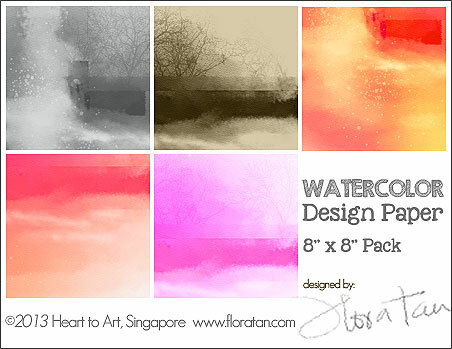 digital elements; design paper, tags, postcards, words and more. 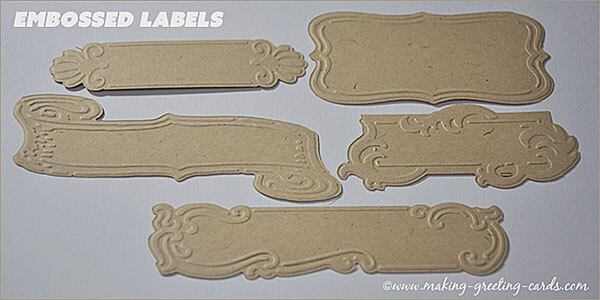 These embossed labels are just nice for adding a greeting to the front of your card. You just need to stamp a message: 'Thank You So Much', 'Happy Birthday! ', etc. or use them on gifts. 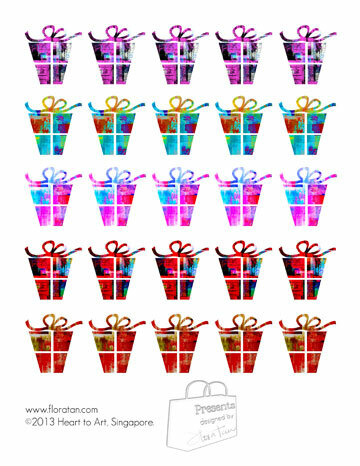 Just write the name of the recipient and attach to the wrapped present. Come in a set of 5 designs in 3 colour choices: White, Speckled Cream and Speckled Brown. Sizes: Approximately 3.5"x1.5", 3.75"x1", 5"x1.25", 4"x1.5" and 3.75"x2"
Handmade labels cut and embossed on 220 gsm speckled card stock. Will be shipped two days after payment is made. 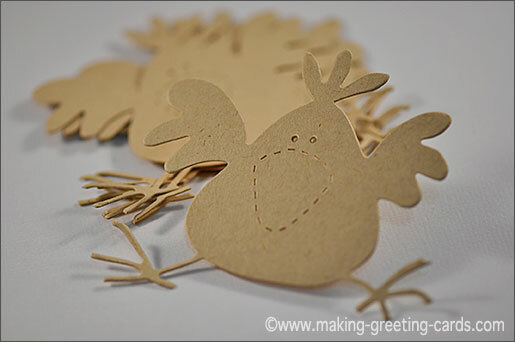 These adorable bird shape die-cuts are great for scrapbooking or card-making. They can be coloured, stamped and embellished to your heart's content. Come in a set of 5 in 3 colour choices: White, Speckled Cream and Speckled Brown. Cut on 220 gsm card stock. 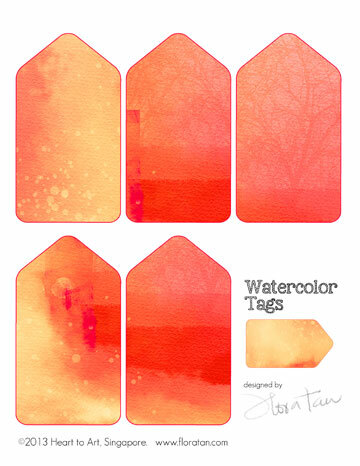 5 watercolored background design tags with extra small tag in a sheet. 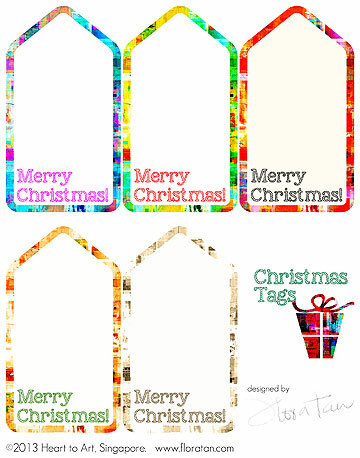 5 abstract border design tags for Christmas in a sheet. 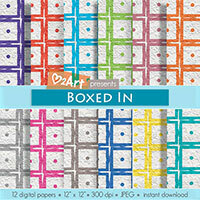 Tag Size: 2.5" x 4.5"
25 abstract design presents clipart in a sheet.